Food Network’s Alton Brown is a Gunnie! 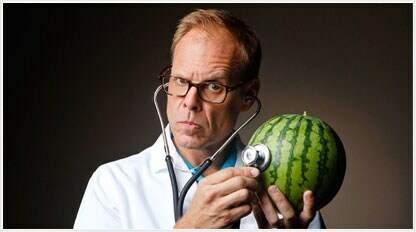 Firearms and Freedom has pointed out that Alton Brown loves guns, possibly as much as he loves fine cuisine. Those of you who obsessively watch the Food Network don’t need to be reminded of who Alton Brown is, but the rest of our readers might need a hint. He’s the legendary food expert and host on TV shows like Master Chef, Good Eats, and Food Network Star. You know – he’s the nerdy looking guy with the glasses who always seems to know everything there is to know about food. It seems that much of his gun love stems from being a fan of Bond movies. He admitted, “I have lived my whole life on Bond films. I may crack before Skyfall releases. I mean… I’m carrying a PPK. #not kidding.” Could it be that James Bond is like a gateway drug for gunnies? Well, probably not — otherwise you’d see a lot more cars with hidden rocket launchers and side-mounted machine guns. For updates, stay tuned to Guns.com. For all breaking gun news, keep browsing Guns.com’s news feeds.